As annoying as it may be we aren't in a habit of deleting any ones post or acting like forum Nazis so I'll just grumble about it and hope people can take the time to read a little more in the future. We'll have a fix for this out in the next couple of days. It's already mostly there but we're tweaking some minor things elsewhere. 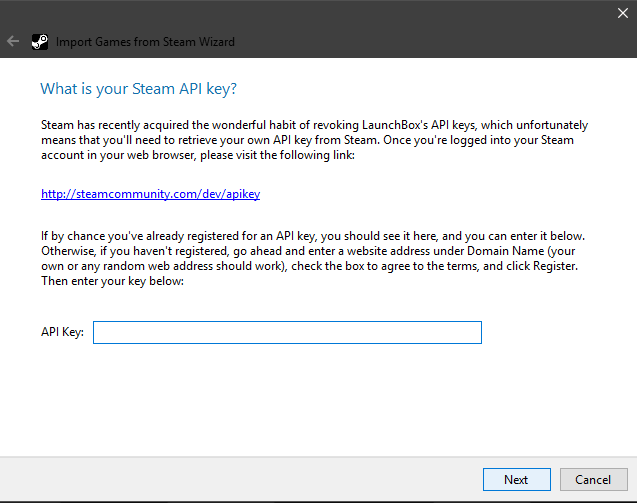 Since Steam keeps killing our API keys, we're going to require the user to get their own key and use it. Also, it's important to note that your profile will need to be public in order for LaunchBox to be able to get your list of owned games. From that same screen above, click the "My Privacy Settings" link, and then make sure your "Profile Status" is "Public": After changing, don't forget to scroll down and click the "Save Changes" button. Comment below if you need help. 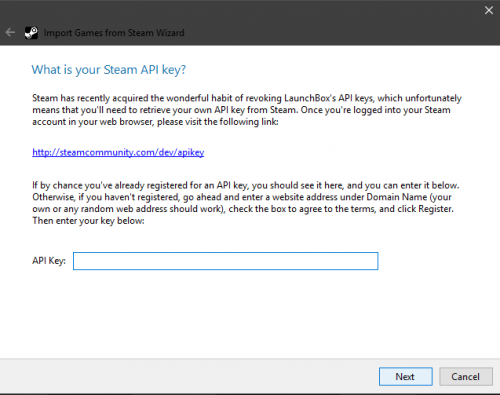 grab the latest beta and follow the steps in the wizard, you will need to provide your own API key. where do you find the latest beta at? 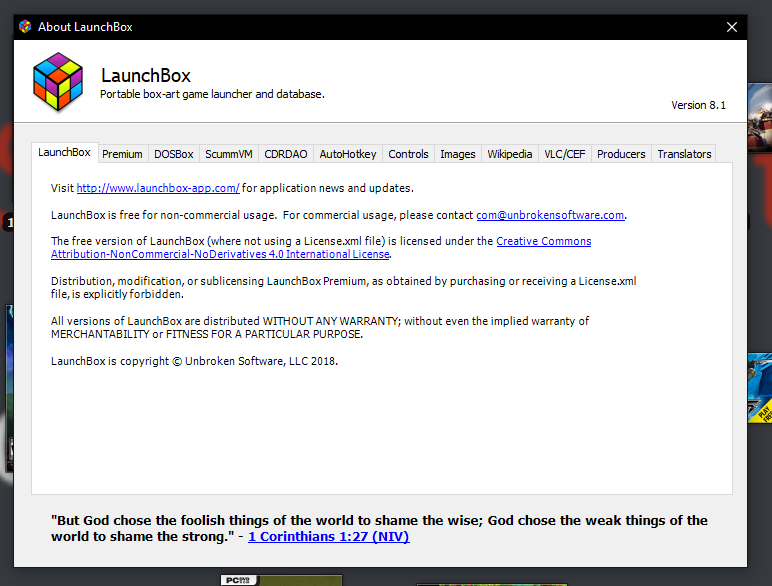 Got the latest beta and it seems to work okay - Only small thing im finding is that Launchbox doesnt seem to want to save my API key. Yeah confirmed here, I used it originally when the beta released and just went to add a new game and had to click through the link, login, wait for my steam guard code on my phone then copy paste the api again. A bit of a faff really. Are you on the latest beta? 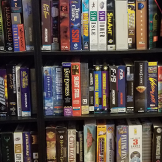 As its required as the way we import steam games has changed since the last official release. 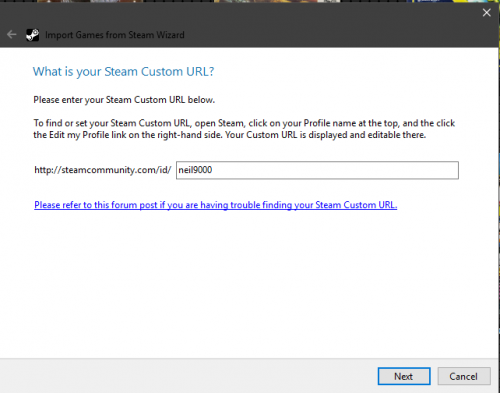 Can't import my Steam library to LB. I'm on the beta and my account isn't on private. Your profile must be public, not private. Also where do I get this API thing and what do I do with it? Actually that doesn't look like the current beta. The screen after entering you username should ask for your api key. I'm not actually sure just know that is what you need to do.